Looking for a unique gift? 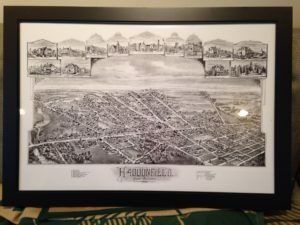 The Historical Society has reprinted a limited run of the popular 1899 birds-eye view map of Haddonfield. We’re also holding a holiday sale on some of our publications! 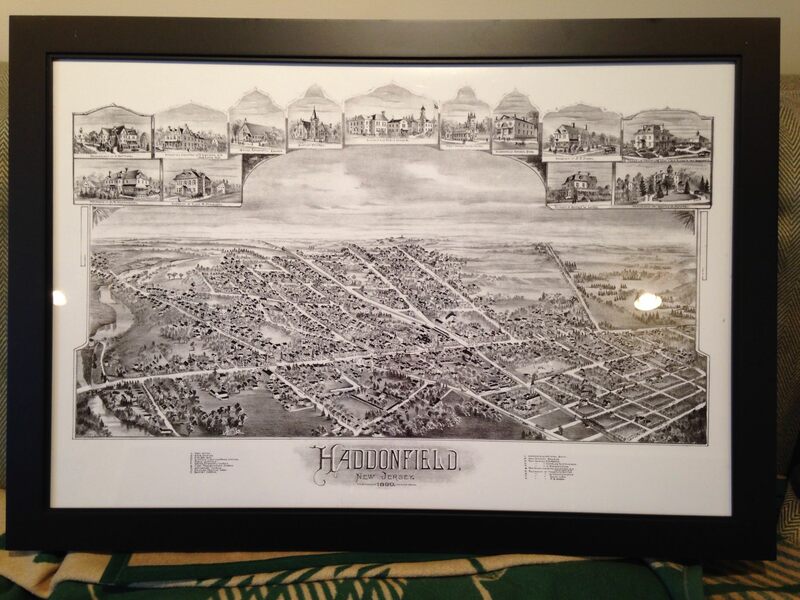 First, the map: The unframed print is 20″ x 30″, and available for $50 (tax included). We are also offering framed versions of the print for $75 or $150, depending on the frame width. The maps are available to pick up during our regular public hours (Monday, Wednesday and Friday from 1-4 pm), or by appointment outside of those public hours. We can also ship unframed prints for an additional charge of $10. Please call or email the office to place your order today: 856-429-7375 or info@haddonfieldhistory.org. Second, the Historical Society is holding a sale on some of our publications, just in time for the holidays. You can purchase any of these at the Historical Society office during regular public hours, or through Amazon. You can find the full list of Historical Society publications available for sale here. 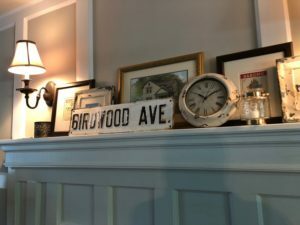 The Historical Society still has a handful of old Haddonfield street signs available as part of a unique fundraiser. These full-size vintage signs would look great on a wall, on a shelf, or otherwise on display and would make an excellent gift this holiday season. If you’re interested in one of the remaining signs (see below), please contact our office at 856-429-7375 or info@haddonfieldhistory.org. The Historical Society of Haddonfield has been awarded a $24,352 grant from the New Jersey Historic Trust, an affiliate of the New Jersey Department of Community Affairs (DCA), to craft a long-term preservation plan for Greenfield Hall, its headquarters building located at 343 Kings Highway East in Haddonfield. 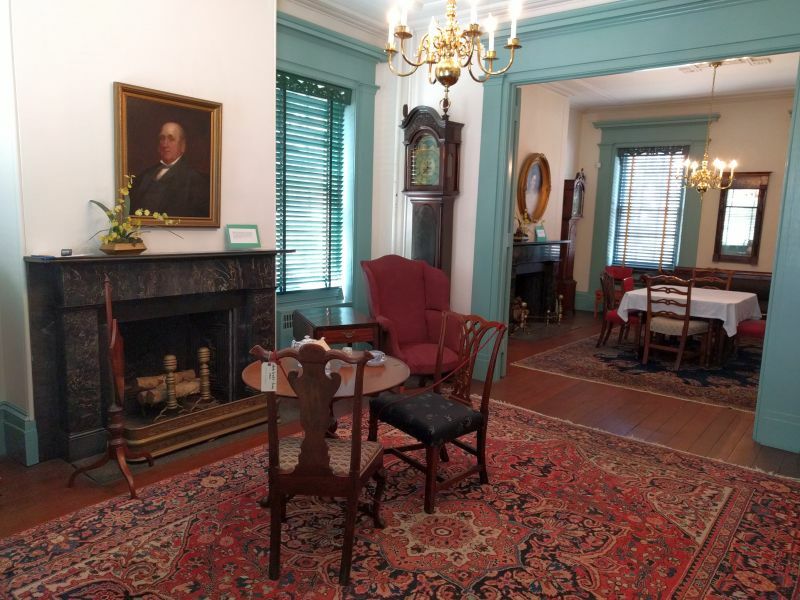 The Historical Society is the only awardee in Camden County this year. 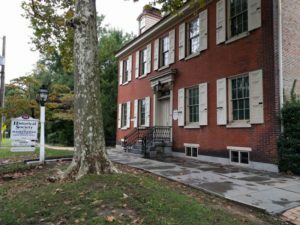 “Greenfield Hall is one of our most significant artifacts, and this generous grant from the New Jersey Historic Trust will allow us to plan for its care for many years to come,” said Doug Rauschenberger, president of the Historical Society of Haddonfield. The grant award is part of the Preserve New Jersey Historic Preservation Fund grant program. The Historical Society plans to use the grant to hire Westfield Architects & Preservation Consultants to create a preservation plan in strict compliance with the recommendations of the state’s Historic Preservation Office. The finished plan will include evaluations of Greenfield Hall’s structure and building systems, and help the Society prioritize maintenance, repairs, and other improvements moving forward. Established in 1967, the New Jersey Historic Trust is the only nonprofit historic preservation organization in New Jersey created by state law. The Trust became a Department of Community Affairs (DCA) affiliate in 2002 in an effort to better realign the state’s smart growth initiatives with historic revitalization. Its mission is to advance historic preservation in New Jersey for the benefit of future generations through education, stewardship and financial investment programs that save our heritage and strengthen our communities. Just a reminder that the Historical Society closes to the public for the month of August each year. We will also not be holding our usual “First Sunday” hours on Sunday September 2 due to the holiday weekend. Our last summer hours for Greenfield Hall will be Monday July 30 from 1-4 pm, and our last research hours at the archives center in the Mickle House will be Tuesday July 31 from 9:30-11:30 am. If you miss us in July, you can still reach out by phone or email, but please be patient if we are slower to respond. We will return to regular public hours after Labor Day. Enjoy the rest of your summer!